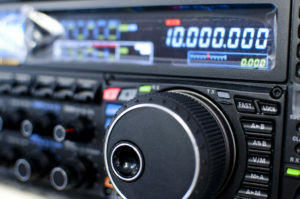 Another article on getting licensed and started in Amateur Radio. Most people start with the Technician Class license. The test is relatively easy to pass with a little study and practice. There are no big secrets here, I’m mostly just writing my thoughts and parts of my own “Ham” journey. I’m also writing for you. If this helps you in some way then so much the better. HamStudy.org is a great study option. It’s free and provides a great flash card study function with an ongoing an “Aptitude” score and it “remembers” your study progress and which answers you got right & wrong. The flash-cards can be “flipped” over (after you respond to the card) to see information with an explanation of the question & correct answer for a better understanding of the material… Then you can take full practice tests, with each full section randomized just like the real test. Good stuff. For about $25 for a 6 month subscription you can have access to the “Cadillac” of all online preparation sites: HamTestOnline™ is a guided study site from the creative mind of John Cunningham (W1AI) which will help you learn and understand (not simply memorize) the material needed to pass the test. HamTestOnline works very well: Read Christina’s Story. I wish I knew about HamTestOnline before I studied and passed my Tech exam. For my technician test, I used the random tests at QRZ.com where all of the questions and answers in the VE test pool are available in a working random quiz driven database; Effective enough if you just want a refresher and the memory/memorization workout. Find a VE (Volunteer Examiner) Time and Location. When you are ready for the test, go to the ARRL Website, it is a major center for all things Ham Radio. The website is packed with information and resources including listings of exam locations and times, updated by the VE’s, which you can access here. Enter your Zip Code, How far you’re willing to travel and hit enter to search. Find a convenient location and time and click the “Learn More” link. I recommend making contact to let the VE know your intention to take the exam and to confirm time and location – even if the listing says “Walk-ins allowed“. You’ll need to bring a photo id (drivers license, state id or passport) and your Social Security Number (SSN) or FCC Registration Number (FRN). If a photo Id is not available then you’ll need two forms of identification: Talk to your VE about this. If the exam is for a license upgrade, bring a photocopy of your current Amateur Radio License. Also bring two number 2 pencils & erasers and a pen. A simple basic function calculator with memory erased is permitted (use of any other type of electronic computing device will not be allowed.) You can also use a completely blank sheet of scratch paper for “manual” calculation, and if you’re really old fashioned – you can use a slide rule. Silence your cell phone and put it away! Now this is not usually mentioned, but Ham exams have earned an unpleasant reputation for being noisy. I took my technician exam in a noisy gas station-convienience store restaurant with elevator muzak playing through the ceiling speakers – yikes! Ear-plugs may come in handy… Use cash, check or money order to pay the exam fee (usually around $15.) If all goes well and you’ve passed the test, you can expect your new call sign to show up in the FCC-ULS database within about 10 days. You can check for it by searching for your name on QRZ.com . What Is Amateur Radio? Whatever You Wish. HAM Radio: Past, Present, and does it have a future? © 2019 W3JFO. All rights reserved.